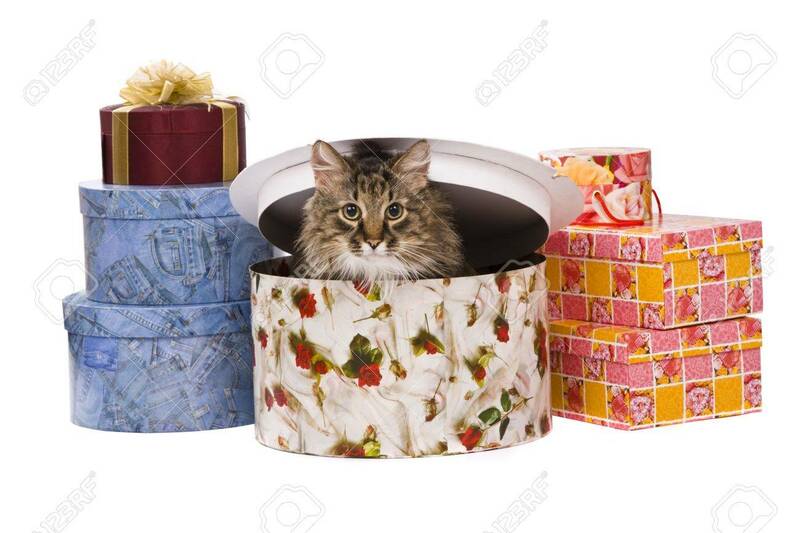 Cat Is Peeking Out Of A Gift Box Domestic Cat Is Sitting Inside.. Stock Photo, Picture And Royalty Free Image. Image 6099039. Stock Photo - Cat is peeking out of a gift box Domestic cat is sitting inside of a gift box on white background. Cat is peeking out of a gift box Domestic cat is sitting inside of a gift box on white background.